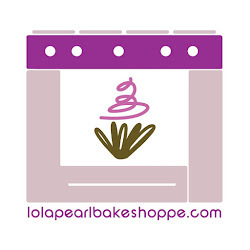 Lola Pearl Bake Shoppe: Adorable Fondant Purse Cupcakes! These cupcakes are too cute! Tiny fondant handbags are a perfect addition to a bridal shower dessert table! These were made for the Macy's Handbag Happy Hour in Buffalo, NY. If only you could place the purses in water and they grow into life-sized bags! We absolutely love the tiny quilted clutches!! It's a pie! It's a pizza! It's a pizza pie cake!